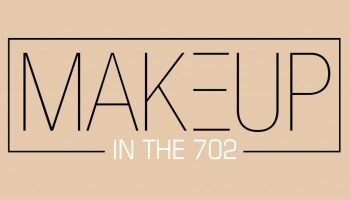 LAS VEGAS - Jan. 11, 2018 - PRLog -- Makeup In The 702 is pleased to announce that they have been inducted into The Knot Best of Weddings Hall of Fame (https://www.theknot.com/vendors/best-of-weddings) from The Knot (http://www.theknot.com/), the leading online wedding brand and app. Exceptional wedding professionals who have earned four or more of The Knot Best of Weddings awards are inducted into the prestigious The Knot Best of Weddings Hall of Fame. In its twelfth annual year, The Knot continues its longstanding tradition of supporting local wedding vendors with The Knot Best of Weddings, a by-couples, for-couples guide to the top wedding professionals across the country. To determine the winners, The Knot assessed almost 3.6 million real reviews across the various vendor categories—venues, musicians, florists, photographers, caterers and more—that a bride or groom would want to book for their own unique wedding. As the number one online wedding brand and app, The Knot has inspired approximately 25 million couples to plan a wedding that's uniquely them. With a rich history of providing quality content and inspiration to couples, The Knot is making it easier for couples to connect with and book just the right wedding professionals to create their perfect wedding day. Eight out of 10 couples come to The Knot where they can be connected to any of the approximately 300,000 local wedding professionals across the country. The Knot marries great technology with trusted content--and a little love--to make planning for the most important day of a person's life easier and more enjoyable. The Knot is the nation's leading online wedding brand and app that seamlessly engages, matches and connects couples with the right products, services and local wedding professionals they need to plan and pull off their wedding. The trusted brand reaches a majority of engaged couples in the US through the #1 wedding website TheKnot.com, its mobile apps, The Knot national and local wedding magazines, and The Knot book series. The Knot has inspired approximately 25 million couples to plan a wedding that's uniquely them. The Knot is the flagship brand of XO Group Inc. which helps people navigate and enjoy life's biggest moments—from getting married to moving in together and having a baby. Please visit The Knot online at TheKnot.com and follow on social media: Facebook.com/TheKnot and @TheKnot on Twitter (http://www.twitter.com/theknot), Pinterest (https://www.pinterest.com/theknot) and Instagram (http://www.instagram.com/theknot).